The finish and start line for the kid bike races. 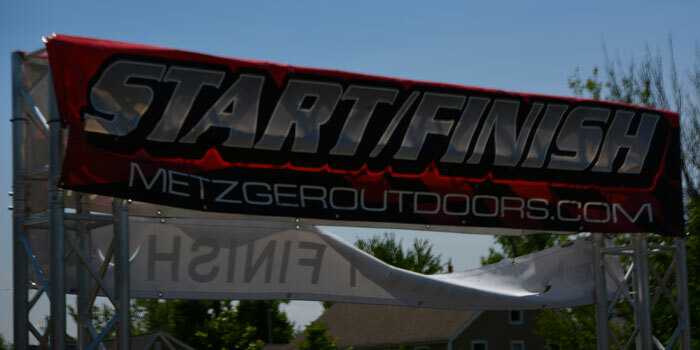 WINONA LAKE — The Fat & Skinny Tire Festival has been a core part of summer activities in Winona Lake for 13 years, bringing community members and tourists together in the pursuit of a shared love of biking and the outdoors. The 2016 festival, which began Friday, May 20, and continues through Sunday, got off to a great start. Locals aren’t the only people who come to Festival to compete, or just enjoy the activities available. “We’ve got people coming in from Pennsylvania… Wisconsin, Ohio, Michigan, Kentucky and Chicago,” Demopoulos said. “We firmly believe that investing, becoming, and staying bicycle friend community is economically, socially, and physically better for everyone,” Demopoulos continued. The popularity of the event was easy to see in the crowds that milled about the alleys and roads of Winona Lake. Many were on bicycles, but the majority were on foot. “This is our second year,” Sarah Sparks, a festival attendee, said, while helping her children get signed up for some of the activities for children. “Last year we had lots of fun so we definitely came back this year,” she continued, helping tie a paper bracelet around her son, Coulton’s arm. 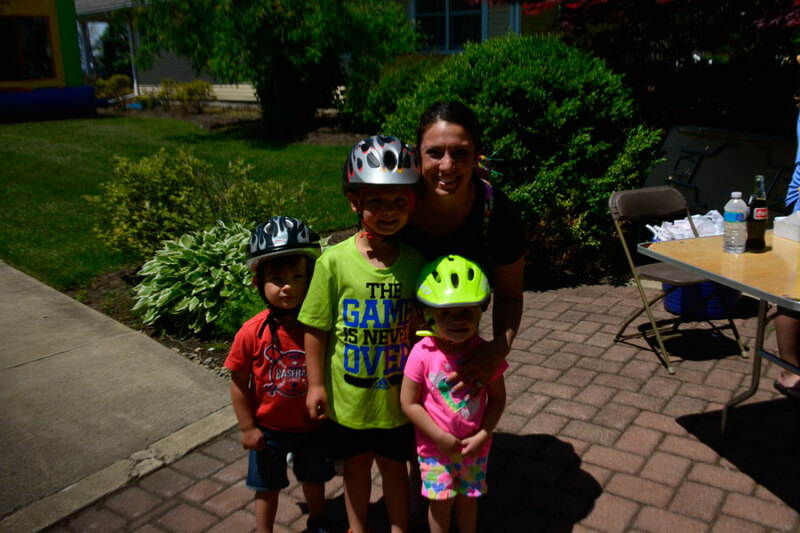 “I’m excited for the bike race,” said Coulton Sparks, while his mother helped him get ready. The festival not only gives families and community members a chance to celebrate and spend time together, it can really help out the local businesses in the Village At Winona. 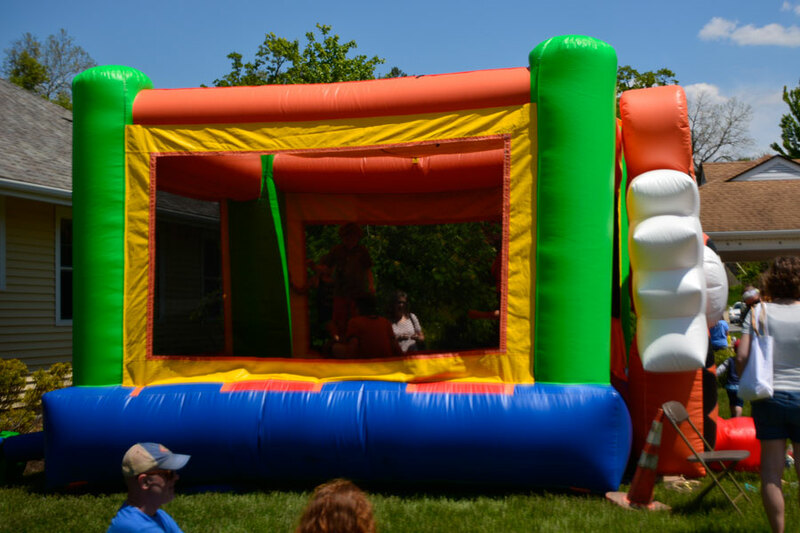 Children enjoy one of two bouncy castles set up at the Fat & Skinny Tire Festival. A mother, Sarah Sparks with her two children on the left, Asher and Coulton Sparks and a family friend, Avlyn Berger.